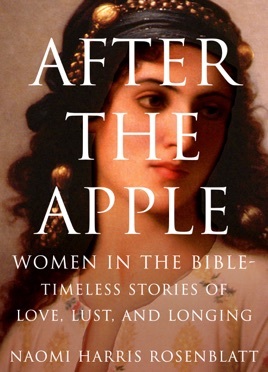 After the Apple explores the strong and defiant women in the Bible - their timeless stories of love, lust and longing. In this powerful blend of history, psychology and storytelling, women will recognize their own struggles to love, mother and to work their way through a complicated and dangerous world. Revisiting the biblical tales surrounding some of the best-known women in Jewish lore, Rosenblatt dispels the pervasive notion many have that biblical matriarchs were weak and ineffective, demonstrating instead that these ancient dames took risks that often catapulted the struggling Jewish nation to survival and prominence. She infuses each chapter with her experience as a relationship therapist and brings timeless stories to life with a combination of personal and professional insight. Instead of viewing Eve as a temptress and sinner, Rosenblatt encourages readers to understand Eve's actions as a conscious rejection of "the stultifying monotony of her perfect paradisiacal life" and desire to transcend the limitations of the garden. Tamar's heroic act to right her situation as a beleaguered two-time widow results in the union from which King David would be born; Queen Esther's formidable courage in time of despair earns her people salvation and an opportunity for retribution; and Abigail, King David's second wife, saves her household from destruction with calm and confidence. Although parts of the book tend to overanalyze personalities and actions, and at times the author's expositions seem verbose, the overall flow is smooth and the stories engaging. Rosenblatt successfully places herself in the hearts and minds of ancient heroines and teaches her readers not just to study but to imagine.